More often than not, our clients come to us for special, custom-order pieces. 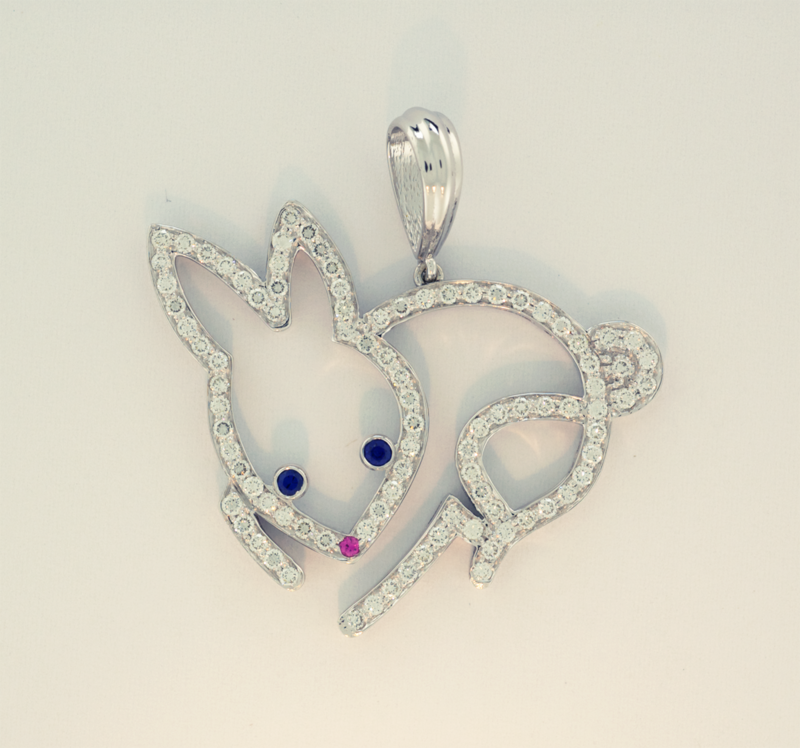 Recently, we had a request come in from a client whose husband’s nickname for her is “Bunny”. 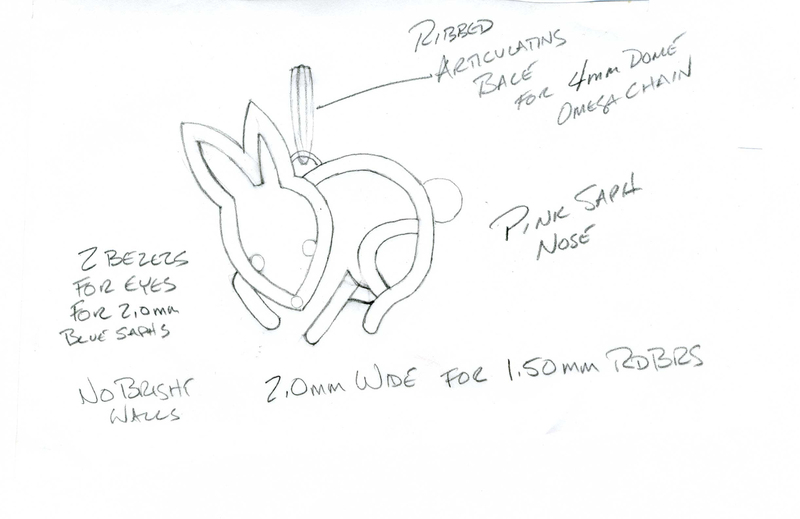 Here are a few photos presenting how Thomas turns a sketch into a one of a kind piece. To see more photos visit the Collections and Click on the Artistic Innovations link.